Personally, I think it all comes down to direct observation from life, like an artist en plein air or with a still life. Being in the place helps. I wrote first drafts of several of the stories in my collection while in a particular place. If you can take yourself off somewhere interesting, especially if it’s got a cafe or a bench you can write in, then you can describe the place ‘live’. 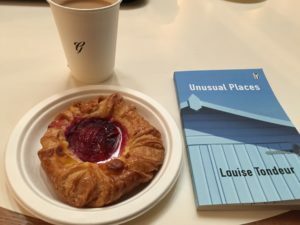 You can make your story ‘site specific’ if you want to – fit for the place in which you’re writing, or set the story in the place or simply be inspired by your surroundings. 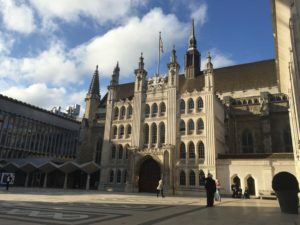 Here’s a picture of London’s Guildhall, for instance, where I wrote a story about someone looking for the Roman Amphitheatre – there were no signs up in those days. The key thing is to notice the details, the small things, the subtleties that other people don’t notice, and you do that by bothering to stop, to take time out and observe. Develop writer’s eyes, notice the colours. Notice textures, smells, sounds, and tastes too. 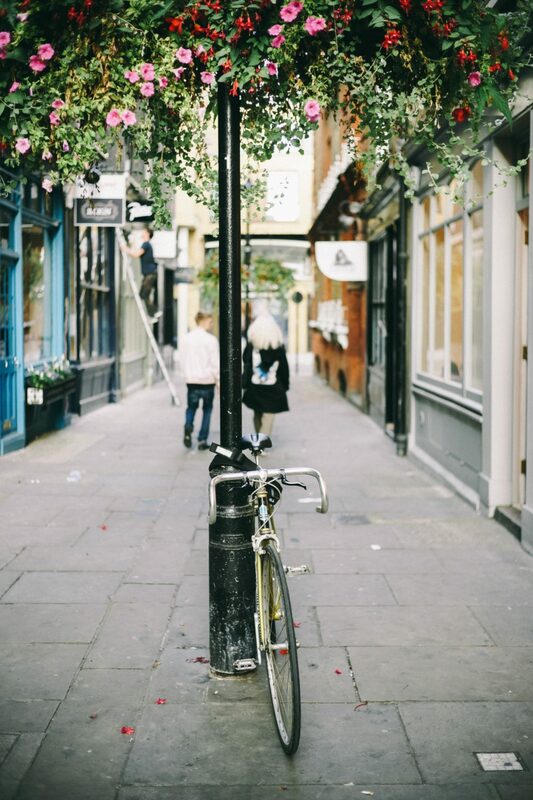 Try to capture the atmosphere of a place so that you can conjure it up later when you redraft at home. When you write about the place, unless you’re into alienation technique, you’re going to want to transport the reader into the location. You do that by using the senses, and the specific detail that they would only see if they were there, and if you can visualise the place as you read what you write in the second or third draft, chances are they will be able to when they read it for themselves. I took this picture (surreptitiously) in The British Library where I wrote a story about someone who stalks a fellow library user. Practice is important. One of the reasons I kept writing stories inspired by place is that I felt compelled to practice, to keep repeating the exercises because I never quite felt I’d got it right. I wanted to get place on the page and it always alluded me somehow. You can buy Unusual Places from the Cultured Llama website, as a paperback or ebook. View all six posts on writing place in short stories here.